To mark the 50th anniversary of the franchise, Star Trek will have a major presence at this year’s San Diego Comic-Con (July 21–24). 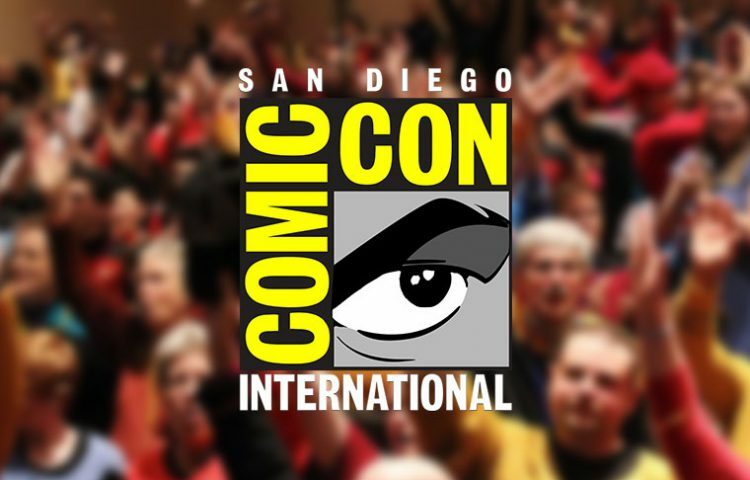 With multiple panels scheduled for the annual mega-event, the crown jewel looks to be a Bryan Fuller-moderated panel Star Trek: Celebrating 50 Years with William Shatner, Scott Bakula, Michael Dorn, Jeri Ryan and Brent Spiner in Hall H on Saturday (July 23). The panel will include a special look back at the last five decades of the legendary franchise and of the future with the new Star Trek series that launches in January on CBS All Access. As we’ve previously reported, “Star Trek: 50 Artists. 50 Years” art show, takes place at the Michael J. Wolf Gallery in San Diego, with Star Trek-inspired 2D and 3D works by 50 artists from 10 countries around the globe — one of which, was created by Leonard Nimoy. The free exhibit will be on display from 11 AM-8 PM July 21-23 and 10 AM-5 PM on July 24. Check out a full list of Star Trek-related events, panels, vendor booths and exclusives at SDCC below. 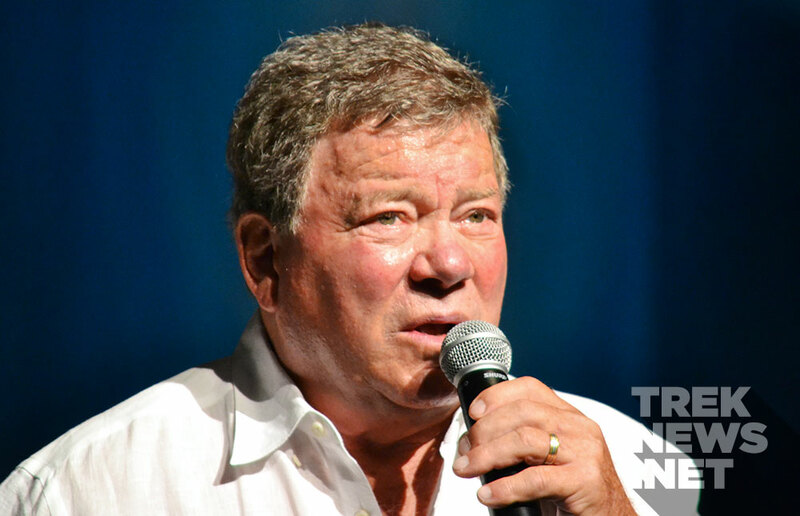 In the centerpiece of the weekend, Star Trek: Celebrating 50 Years will take over Hall H on Saturday, July 23 (2p.m. – 3p.m. ), when the legendary William Shatner (Star Trek) and Star Trek alumni Scott Bakula (Star Trek: Enterprise), Michael Dorn (Star Trek: The Next Generation, Star Trek: Deep Space Nine), Jeri Ryan (Star Trek: Voyager) and Brent Spiner (Star Trek: The Next Generation) take the stage to reflect on 50 years of Star Trek and its indelible mark on our world, as well as what’s to come as the franchise gets ready to boldly return to the small screen. The conversation will be moderated by Bryan Fuller, executive producer of the new Star Trek television series coming to CBS All Access, following its network premiere in January 2017. ANOVOS will feature its latest Star Trek Beyond items, including the Tunic, Dress, Survival Jacket and the Hand Phaser prototypes on display. Additional Star Trek items will also be available, with an SDCC special that gives fans 15% off purchases at the booth (includes take-home items available at the booth and items available on the ANOVOS website). Entertainment Earth will offer a number of convention exclusives, including Star Trek: The Original Series Amok Time Kirk vs. Spock Bobble Heads with sound, a Star Trek: The Original Series 24K Gold Plated Enterprise Monitor Mate and “The Big Bang Theory” characters in Star Trek: The Original Series uniforms. The 3¾-inch figures of Sheldon, Penny, Howard, Raj, Amy, and Bernadette come equipped with their very own communicator, phaser and tricorder accessories. Leonard comes in the Captain uniform. The announcement of their final exclusive (with regard to the Bif Bang Pow! Pin MateTM wooden figure line) will be forthcoming. NECA is offering their 2016 convention exclusives for sale, including limited edition Action Figures and HeroClix, and will be displaying several Star Trek products including the Klingon Bat’leth foam prop replica, the Star Trek: Attack Wing Borg Cube with Sphere Port Premium Figure, Star Trek: Frontiers Board Game, and more of their upcoming Star Trek: Attack Wing Expansion Packs. Titan Publishing will have 100 copies of a limited-edition Comic-Con exclusive of Star Trek: 50 Artists. 50 Years. available for $60, as well as the regular edition available for $40. They will also have The Autobiography of James T. Kirk in paperback. Titan Merchandise will debut their 4.5” TITANS vinyl Enterprise and a Comic-Con exclusive twin pack of their 3” TITANS Star Trek vinyls – the Kirk & Spock Amok Time Edition – from their upcoming Star Trek TITANS vinyl collection.